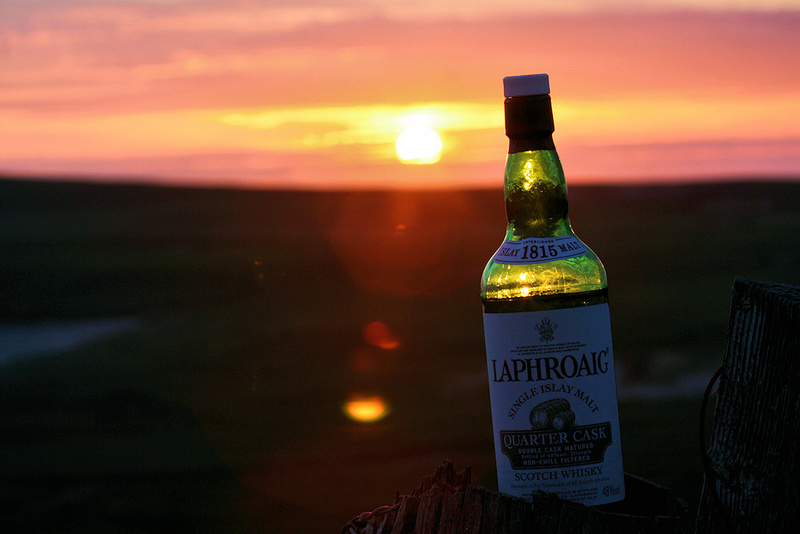 A bottle of Laphroaig Quarter Cask Islay single malt whisky, enjoyed at a midsummer sunset at the top of the dunes at Kilchoman. Picture courtesy of my sister Imke. This entry was posted in Beaches, Cloudy Weather, Distilleries, Guest Picture, Landscape, Repost, Sunny Weather, Sunset and tagged Islay, Kilchoman, Laphroaig, Machir Bay by Armin Grewe. Bookmark the permalink.